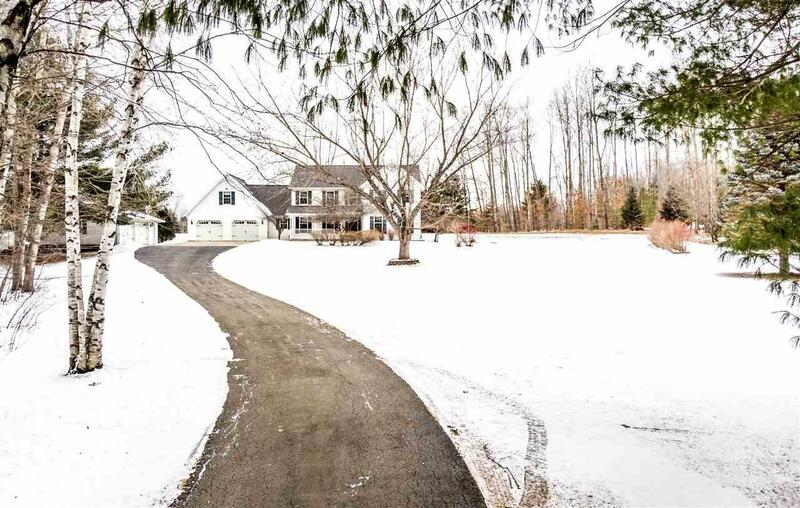 Situated on 2.16+/- acres of serenity find this one-owner, custom home. 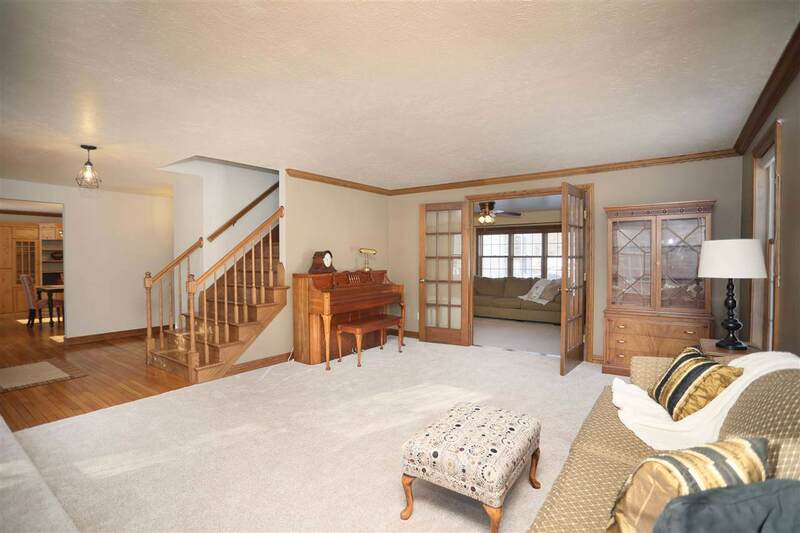 Featuring beautiful hardwood, 5 BR, 4 BA, extra detached 2.5 car garage, Koi pond & live in apartment w/ separate entrance. 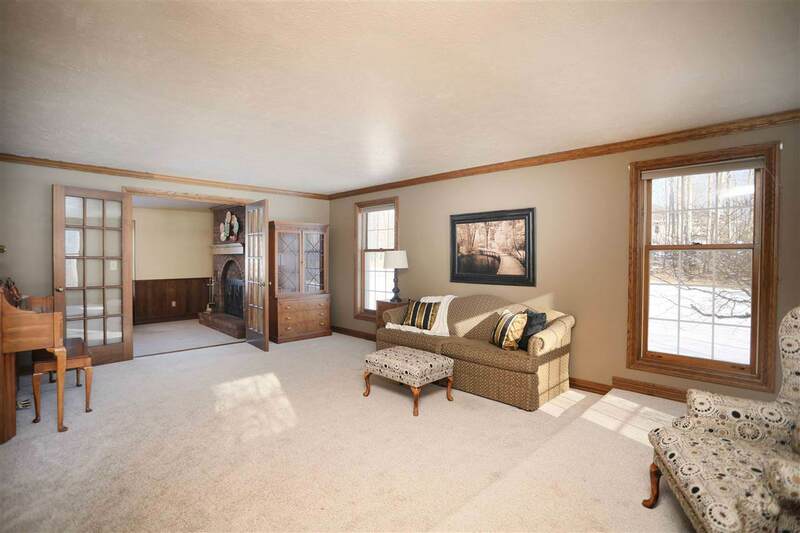 Kitchen w/ abundance of cabinets overlooks family room anchored by wood burning fireplace. 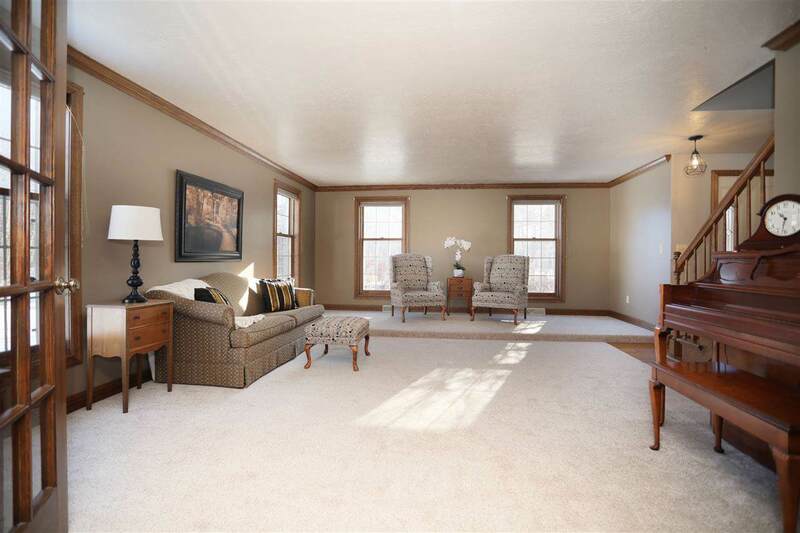 Main floor boasts spacious 4-season room, BR w/ full BA, formal dining, living room & laundry. Theater w/ HD projector in lower. 2nd basement w/ BR and storage room/den. LG master w/ hardwood, walk-in closet, tile shower and floors, jetted tub and dual vanities. 2 additional BRs & full BA complete upper level.